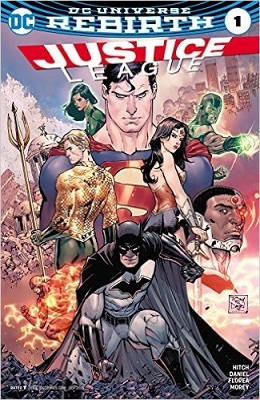 This book is in Justice League (2016 Series). 'JUSTICE LOST' part two! What does justice mean in a lawless world? 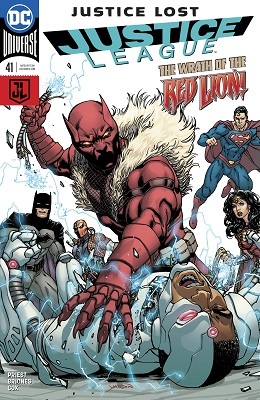 This is the question the team must struggle with when the League finds itself trapped between warring factions, helpless refugees and mercenaries with advanced weaponry, all manipulated by Deathstroke's frenemy the Red Lion. Meanwhile, Batman forces a showdown between himself and the League's biggest fan.